We understand that many pensioners have to watch their pennies today. That is why we are committed to doing our little part in helping by offering a 20% labour discount for all plumbing and gas work. 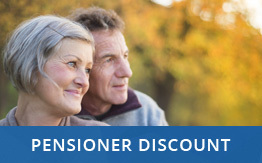 Pensioner discounts will only be given on proof of age verification.